The ice and snow can make getting around difficult for people who rely on mobility assistance. If you use a cane or wheelchair to get from place to place, then you are familiar with the many challenges that exist when it comes to getting around in the winter. While the winter does create some challenges to mobility, there are ways to get where you need to go safely. Sometimes it’s a matter of having the right equipment, and other times it’s just a matter of planning ahead to make sure that everything is done right. Here are some ice, snow and winter safety tips we found could be helpful for elderly seniors, the handicapped or anyone with limited mobility. 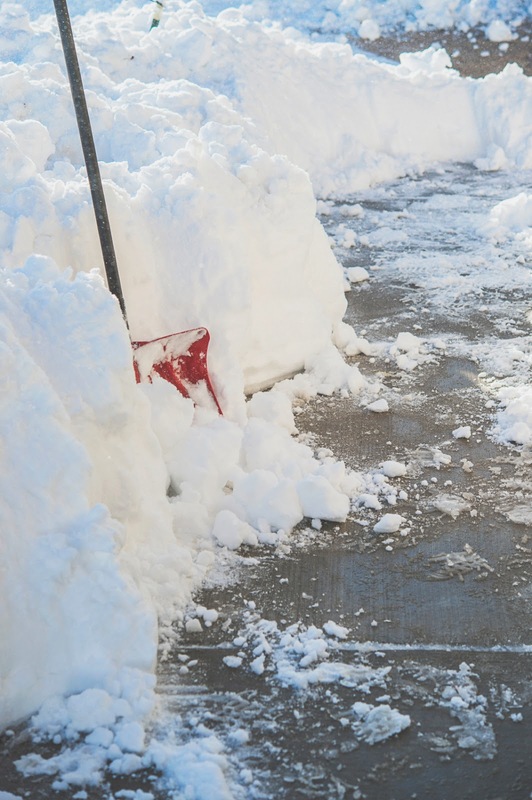 It is critically important that you hire a reliable snow removal service that will plow your driveway and shovel your walks. You will also need your service to clear any access ramps and put down salt to help remove the ice. If you have wooden ramps, be sure to ask your removal service to use a substance that does not damage the wood. Install rubber mats on your stairs and access ramps to give you traction during bad weather. You can either install these permanently, or you can lay them down on your walkways or access ramps when needed. Be sure that your outdoor railings are clear of snow, and never utilize your outdoor railings without wearing your gloves. If you live in an area where it snows during the winter, then be sure to get a heavier wheelchair or scooter to make navigating the snow easier. The lighter and less expensive devices are unable to handle the snow, and they will cause more problems than they will solve. Approach icy conditions very slowly, and always have some sort of contingency plan in case you get stuck. The best contingency plan is to have someone you can call who will come free you from your snow bank. Make sure to bundle up in case you have to wait for help. People with mobility issues can find getting stuck in the snow while driving to be much more problematic than the rest of the year. It is often difficult for disabled people to leave their vehicles, and this can lead to the possibility of being stranded for a very long time. If you do have to go anywhere during the winter, try to get someone to drive for you to help reduce the possibility that you could get stuck. If you use a cane or walking stick to get around, then try to get one that has a broader base to it. Canes that can stand on their own have a four-post base, which can be extremely convenient in bad weather. You should also consider getting a tip for your cane or walking stick that is rubber and outfitted with vinyl spikes. This is the same for crutches as well, which will make it much easier to walk in the snow and ice. People with limited mobility have to make special cold weather preparations during the winter to prevent getting stuck or experiencing some other type of issue. With a little planning, you can make sure that your limited mobility does not prevent you from doing what you have to do this winter.